Garbanzo bean brine can really do magic…! I’m sorry for the long silence, and for not updating my blog as I should (and would) but life has its ups and downs and at the moment I feel like living on a rollercoaster. Am I neglecting the veggy side of me?… I keep on having ideas but I don’t feel like cooking recently. I hope to be more present in the near future! Today’s sun and the fact that I don’t have a lot of work to deal with made me happy, and happiness is love and love is sharing, so here is what I have just made: a light but tasty and summery ice-cream you can all make. It’s so easy to prepare and really light. Give it a try!! A very meaningful post that is worthy of sharing. Why do you spend so much time helping animals? Why don’t you help people instead? If you’re like most people who advocate for all animals, you may have been asked those questions. But is it true that vegans only care about animals? There are 925 million starving people in the world. More than 75% of them are children. 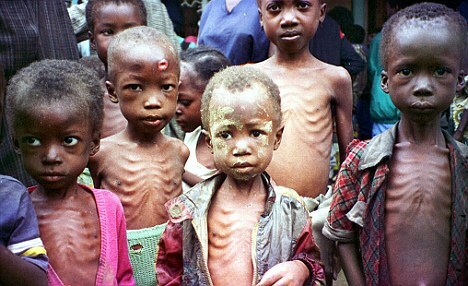 Every three seconds, a person starves to death yet we have enough food to feed everyone on the planet. What’s the problem? There has been a massive increase in the consumption of animals in the past 25 years. The change in eating habits led farmers to abandon traditional farms and build factories where they store thousands of animals in cramped warehouses lacking ventilation, cleanliness, light, and space for animals to exercise their natural instincts. These so-called factory farms breed and slaughter billions of land animals every year. A 12-year-old boy has cared for more than 100 unwanted animals by opening up his own animal hospital for creatures who have been injured or abandoned. Callum Underdown, from Suffolk, devotes all his free time and spends all his pocket money to give the animals a new lease of life. He spends hours trawling Facebook groups and online classified sites to hunt down unwanted animals and birds and take them in – paying for their upkeep out of his own pocket money. 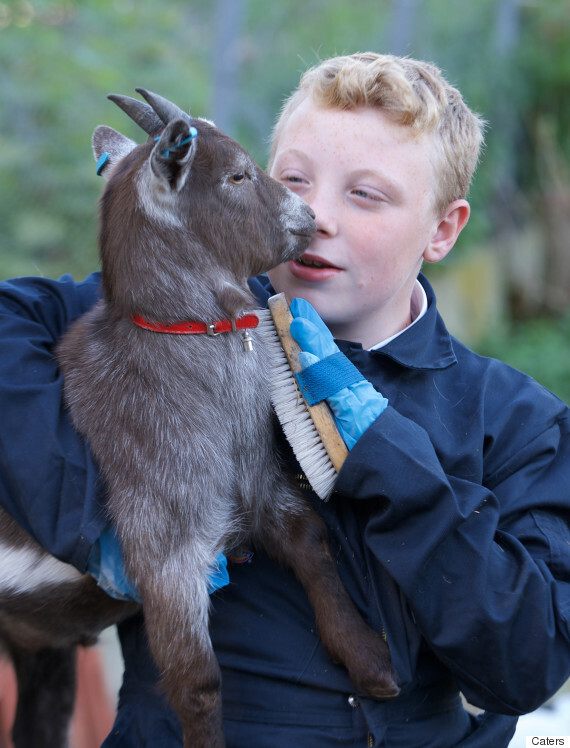 Eventually, mum Sarah Underdown, 32, felt the house got so overrun with Callum’s animal arc, she bought him a small holding on a farm, where he now keeps his collection of goats, rabbits, guinea pigs, geese and chickens. She said: “He’s loved animals ever since he was little. He doesn’t care about football or computer games or anything like that, he just wants to look after animals. “We started off with a few chickens in the garden and it just grew from there. His mum estimates Callum, who tends to his “zoo” at 6am every morning before school, has spent around £3,600 on his mission to save unwanted animals. Callum cycles to his miniature farm every day before and after school, and spends every weekend tending to his 19 chickens, two geese, nine rabbits, 26 guinea pigs, and two goats. Over the past year, Callum has taken in more than 100 unwanted animals, and tries to find good homes for as many of his animals as possible. Many would not have survived had it not been for his help. Several of his chickens were underfed and were missing feathers when they came to him, but with the right diet and veterinary care, they’re back to full health. Mrs Underdown said: “We keep the sick animals at home while they recover – we’ve started calling the kitchen ‘Sarah’s Hospital’! “At the moment, we’re taking care a baby rabbit with an eye infection. He came to us with his eye closed up and the person we got him from said they thought his eye may actually be missing. Each week, Callum spends every penny of his £10 weekly pocket money on caring for his animals and maintaining his small piece of land. Mrs Underdown said her son first began looking after abandoned animals last year, after his family were involved in a road accident. She said: “We were in a collision and sadly a motorcyclist died at the scene. It was awful, and it really upset Callum. He wasn’t himself for a while. After adopting his first few chickens, Callum’s mini menagerie quickly grew and he began checking Facebook ‘Buy, Sell, Swap’ pages and classified sites to find unwanted and abandoned animals. She said: “People often sell animals cheap on Facebook, but there’s no guarantee that they will go to good people. You never know who might take them, and you hear some terrible stories about animals being abused. The family’s garden was soon full to bursting with Callum’s animals, and Sarah and Lee knew something had to be done. Underdown said: “We noticed a small piece of land about 10 minutes away from our house was available. We thought it would be perfect for Callum and decided we’d get it for him. But Callum isn’t left to do all the work on his own – the whole family tries to pitch in, with five-year-old sister Harmony also doing her best to help. Callum hopes to work with animals in the future, and can’t wait to start volunteering with the RSPCA when he turns fourteen. When someone says to you, “Oh, being a vegan must be SO hard”, how do you respond? My automatic response is to say that no, on the contrary, it’s the easiest thing in the world. But the truth is, it IS hard, just not in the ways they imagine. True, replacing animal foods in my diet with healthier, more compassionate and environmentally-friendly options has been a joy, not a burden. True, I don’t feel like I’m missing out on anything by giving up what was never really mine to take to begin with. But the truth is, being vegan hurts, and sometimes that hurt cuts deep. It hurts to see your best friend post jokes on Facebook about turkeys being killed for Thanksgiving dinner. It hurts to watch your family members stuffing the corpses of tortured animals into their mouths, and then attempt to hold a dinner conversation with them as if everything were perfectly normal. It hurts to walk past a KFC advertisement and see dismembered body parts being sold for pocket change. In short, being vegan hurts because love hurts, and becoming vegan means opening up our hearts to love animals and recognize them as innocent, feeling beings that don’t deserve to suffer for our pleasure. 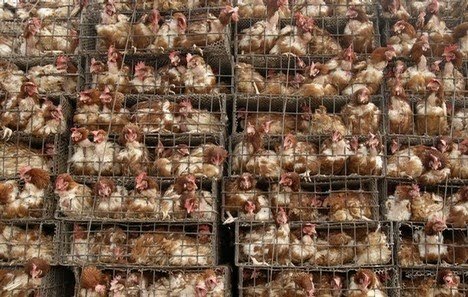 Once our eyes have been opened to just how much they do suffer, we cannot help but share in that suffering ourselves. So we try to stop it. Boy, do we try. Of course we know that we ARE helping by no longer eating animals or their secretions ourselves, but, with the veil finally lifted from our eyes, we realize that there are so many more lives to save, and the enormity of the task can easily feel overwhelming. Becoming vegan is like being blinded on the road to Damascus, then simultaneously taking the red pill and waking up to find that you’re living in the Matrix and that EVERYTHING YOU’VE BEEN TOLD IS A LIE. Except that this is no Hollywood movie. This is all too real. And except that, unlike a religious conversion, your new-found conviction is based not on faith but on cold, hard facts. You know what’s wrong with the world, and you know how to fix it. It’s such a simple answer, and it will solve so many of the world’s problems, from halting climate change to ending world hunger to reversing the obesity epidemic. But, to your dismay, no one wants to hear it. Feeling disheartened, misunderstood and perhaps even depressed, you may try to isolate yourself from the insanity of this world. In an attempt to avoid reminders of animal suffering, you may stop going out to eat with non-vegans, or decide you will only eat out in vegetarian or vegan restaurants, or limit your travels to places where you know such restaurants will be available. Why? Because by doing this you will: (a) miss out on lots of wonderful experiences and relationships; and (b) still fail miserably at your attempt to avoid suffering, because suffering is everywhere. As a vegan, you probably think of yourself as a pretty compassionate person. You have expanded your circle of compassion to include all non-human animals, and that is a wonderful thing. Just remember to include all humans in that circle as well – yes, even those who are contributing to animals’ suffering. Remember that you weren’t always vegan either. As obvious as it is to you now, there was a time when you did not yet see the disconnect between your own values of peace, non-violence and compassion and the dead animal that was on your plate. Treat every non-vegan in your life as a VIP – a vegan in progress. To paraphrase Rory Freedman, people are like kernels in a bag of microwave popcorn. Some pop right away, some will take a bit longer, and a few may never pop at all. Recognizing that each of us is on our own journey and will come to the truth in our own time makes it much easier to be accepting of others, no matter how far along they are on their own journey. · Cook for others. The way to a man’s heart is through his stomach, as they say, and a great way of opening people’s minds to veganism is by showing them the delicious food they can enjoy as a vegan. · Wear it on your sleeve. Or on your hat, your jacket, your running shorts, etc. Buy some t-shirts or other accessories with vegan slogans and spread the message everywhere you go, without even opening your mouth. · Hand out leaflets. Volunteer with Farm Animal Rights Movement (FARM), Vegan Outreach or another organization that distributes leaflets on college campuses, at music festivals, etc. · Volunteer at an animal sanctuary. If you don’t feel comfortable speaking to people face-to-face about veganism, how about spending time with animals instead? Find a sanctuary near you and ask how you can help. · Donate money. If you don’t have time to volunteer, then give a donation to help fund the work of animal rights organizations. 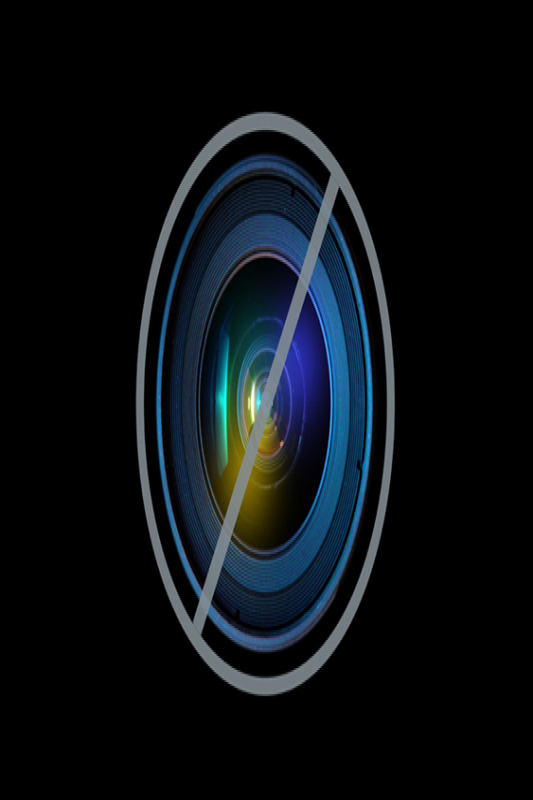 · Start a blog. The Internet offers an unprecedented opportunity to share your story with the world. Whether it’s a recipe, a thought piece or a personal story about your experiences with animals, what you share could be exactly what someone else needs to hear in order for the penny to drop. · Lead by example. If you want to be effective in attracting people to veganism, don’t come across as an angry, militant extremist who throws blood on women wearing fur coats and calls everyone they meet a murderer. 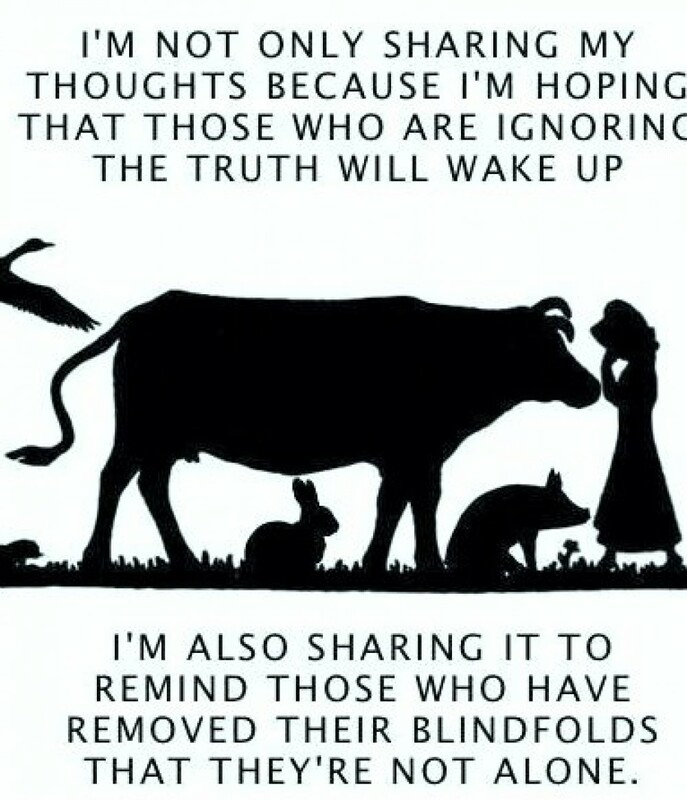 Instead, show them that as a vegan you lead a happy, joyful life full of love, peace, connection with nature, and delicious and healthy food. With all the undercover videos of factory farms floating around our social media networks, it can be easy to fall into despair and forget just how much progress we have made, and continue to make. Seek out positive news, like stories about how Subway is expanding its vegan sandwich pilot project, or how 400 million fewer animals were killed for food in the U.S. in 2014 compared with 2007. Sign up for email updates from farm animal sanctuaries, and receive stories in your inbox of animals being rescued and living out the rest of their lives in peace and freedom. Watch this video, and then visualize the joy and beauty of what a vegan world could be like. And believe in your heart that it could really happen. The truth is, we ARE moving closer to a vegan world every day. And when that day comes, being vegan won’t hurt at all anymore. When it comes to vegan cooking and baking, cheese substitution is one of those things that gives me a headache. I’m a bit wary of soy-based alternatives, as they seem over-processed and unnatural in comparison. There are, of course, equally over-processed varieties of “cheese” that freak me out too! (Full disclosure: I did have a bizarre addiction to Tofutti cream cheese a year or so ago, and have been rather reluctant to group it into the Weird Fake Cheese category. But the editor in me demands consistency above all else!) Another interesting alternative that I’ve come across online is blending together nuts, nutritional yeast, and other stuff to make a creamy, cheese-like substitute. This usually involves soaking the nuts overnight, which is far more than I care to go through to make fake cheese. (Also, the vegan community seems to invariably refer to this substance as “nut cheese”—a phrase that is so hilariously gross, I have trouble taking it seriously. Yes, deep down, I’m a 13-year-old boy. :P) So, my very simple solution: make a filling so tasty, it doesn’t need cheese. No headaches here! Honestly, if you’re too lazy to make ravioli, just make this filling and eat it like mashed potatoes. Seriously—it’s awesome. The combination of sweet potatoes and coconut milk actually changed my feelings toward coconut many years ago. When I was young, coconut was THE grossest. My parents have been using Skin Trip lotion since I was little, and I found the scent revolting. I went to birthday parties fearing that the cake would come out covered in horrible shredded coconut, completely ruining my reason for coming to the party in the first place! But when I started getting into cooking after college, I happened upon a recipe for sweet potatoes, carrots, and green beans simmered in coconut milk. For some reason, it intrigued me. I made it, and wow—I could not believe how amazing sweet potatoes and coconut milk tasted together. Add a spicy kick, and it really doesn’t get much better. My boyfriend even declared this to be his favorite of all the ravioli I’ve ever made (and I’ve made a lot)! Preheat the oven to 450°. Rub the peppers with a little bit of olive oil, then place the potatoes and peppers together in the oven. Roast for about 15 minutes, or until the pepper skin begins to blister and blacken. Remove the peppers and place them in a paper bag (an air-tight container also works if you don’t happen to have a paper bag). Close and let peppers rest for at least 10 minutes (they will steam in the bag, making the skins easier to remove). Peel the skin away from the pepper, then remove the seeds from the inside. Mince the pepper and set aside. While you’re waiting for the potatoes to finish roasting, combine the flours and salt in a large bowl and make a well in the center. Pour water in the well and stir to combine. Turn out on a floured surface and knead until a smooth dough forms. Divide into two, then cover in plastic wrap or a damp tea towel and let rest. When the sweet potatoes are soft, remove them from the oven. Once they’ve cooled, remove them from their skins and mash in a large bowl. Add the minced pepper and the coconut milk, and stir until well combined. Bring a pot of water to a boil, then add the ravioli. Cook until they begin to float (this should only take a few minutes). If you like your ravioli a little crispy (I know I do! ), heat a little olive oil in a pan, then add the cooked ravioli and pan-fry over medium heat for a few minutes on each side, or until lightly browned. Top with a little bit of fresh rosemary and sage if you happen to have it, then serve!